We have introduced many nice Star Wars themed posters, but if you prefer minimalistic and monochrome design, let’s go on checking the following black & white Star Wars poster set. This is a set of beautiful posters based on Star Wars, the famous sci-fi epic franchise. 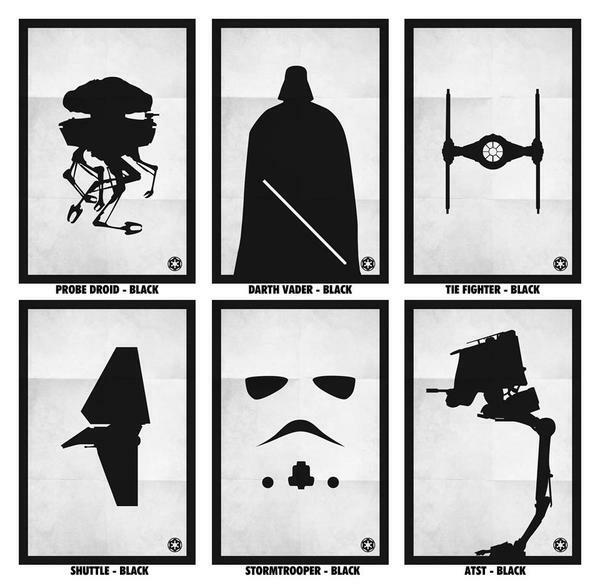 As we can see from the images, the poster set contains 6 Star Wars themes designs in total, each poster features minimalistic design and monochrome scheme in order to highlight those iconic characters and vehicles including Darth Vader, Stormtrooper, AT-ST, TIE Fighter, Viper probe droid, and T-4a shuttle. Apart from that, each poster is printed on high quality double weight matte photo paper stock using pigment-based ink for durability. 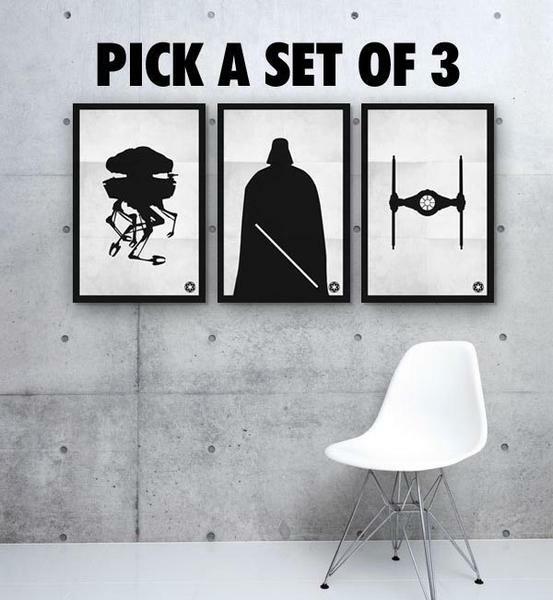 The black & white Star Wars poster set is priced at $89 USD (3 posters included). If you’re interested, jump to Etsy for more details.Additionally, if you need other options, you might like to check the watercolor Star Wars poster set.